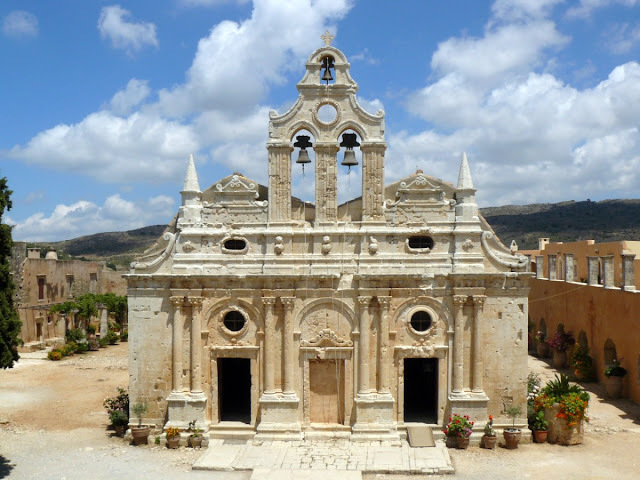 The Arkadi Monastery, the most famous and characteristic of Crete, is situated in a scenic location in the interior of the island and is one of the most unique architectural styles found in Crete, as well as the important historical significance plays. The facade of the church, especially decorated, is the highlight of the monastery, of Venetian origin, with the characteristic bell tower. 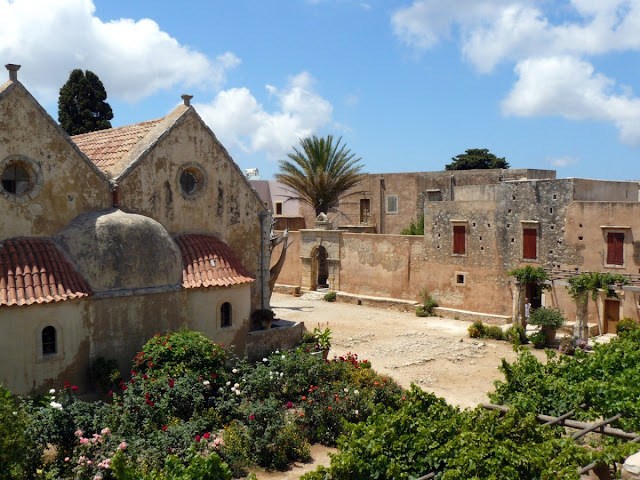 The monastery is now a national shrine of the struggle for independence, as many Cretans took refuge here that, taken siege by the Turks, the powder magazine exploded, killing both themselves and the conquerors. Not far away you can visit the picturesque Cave Melidhoni , known since the time of the Minoans and mentioned several times in mythology as the home of Talos, the protector of the coast of Crete, is notorious for the events of the revolution against the Turks, when an entire village took refuge inside and suffocated by the smoke from a fire set deliberately. Going down the steep staircase leads to the imposing central chamber, where there is a tomb in memory of the dead. 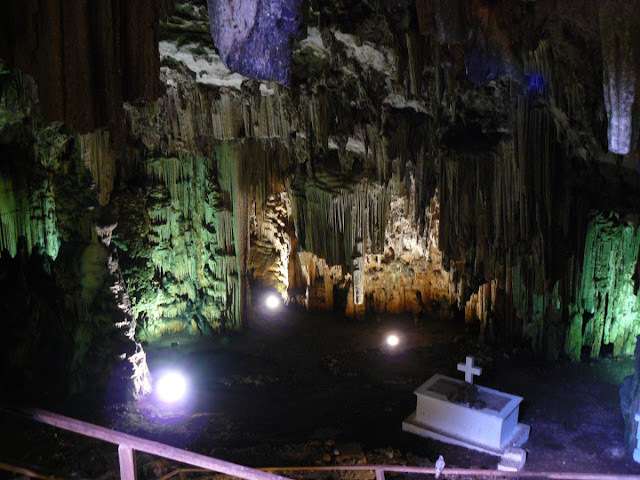 The interior is a Gothic cathedral made ​​by stalactites and stalagmites illuminated by colored lights, creating an environment of great beauty. 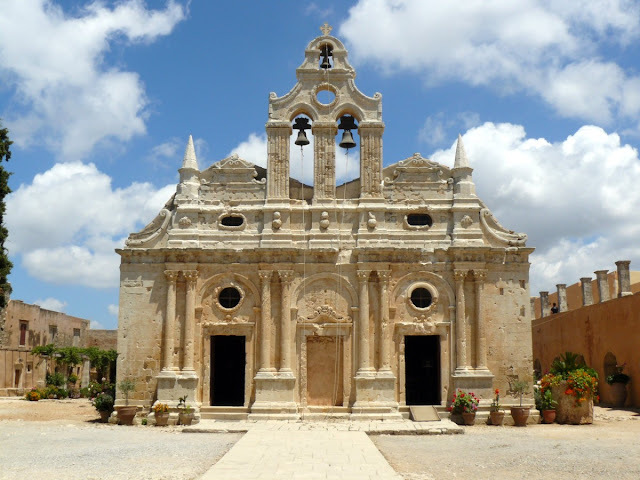 Travel Tips: entrance to the Monastery of Arkadi € 3 and includes a small museum. The entrance to the cave is to pay € 3.